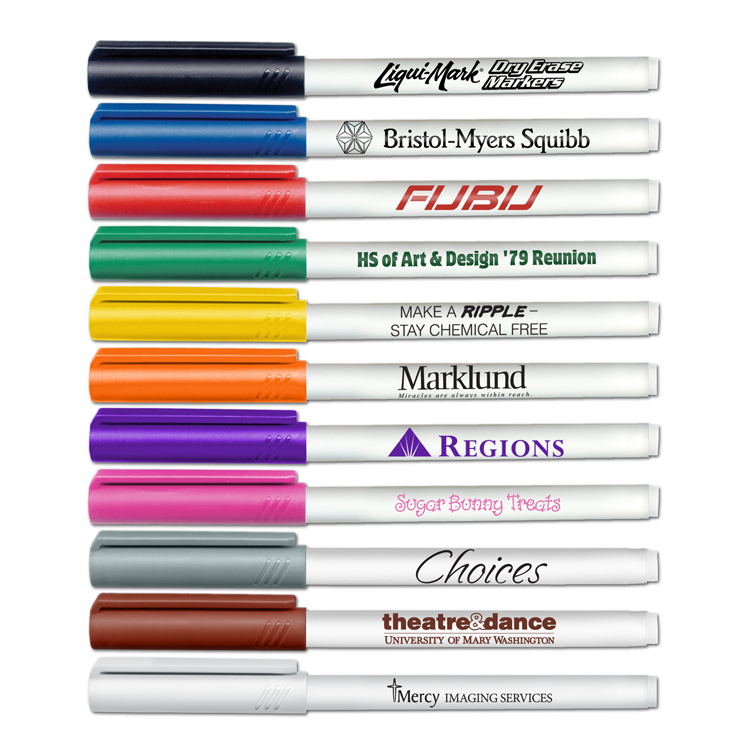 Non-toxic, fine point dry erase marker. Wipes off easily from laminated surfaces or porcelain boards. Color of cap matches ink color with white barrel. Color Selection: Black, Blue, Red, Green, Yellow, Orange, Pink, Brown, Purple and Gray. Color of cap matches ink color (*except for White cap marker which has Black ink). White barrels.